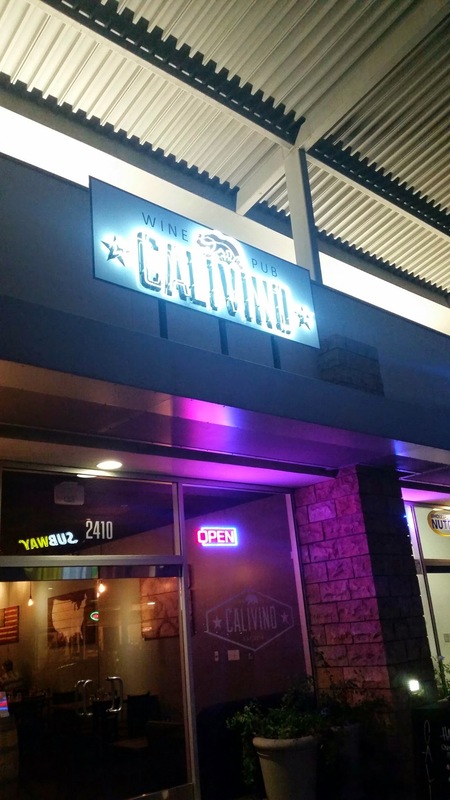 Over Thanksgiving weekend I was invited in to visit Calivino Wine Pub on Katella in the city of Anaheim to discover what the buzz was all about. Calivino is only a few minutes from Disneyland which was perfect for me because as an annual passholder, that was where I was planning to go after dinner! 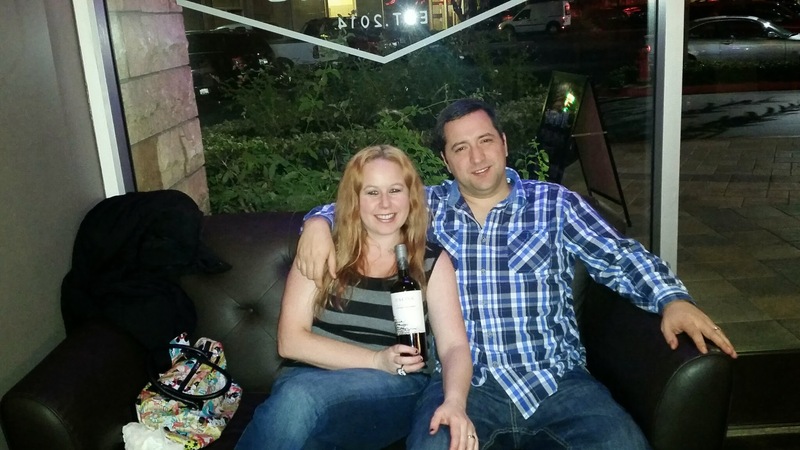 This gastropub restaurant/ wine bar is in the perfect location in Anaheim as there are many things to do in the area. We were seated in a comfy couch near the front of the restaurant and promptly greeted by our friendly server. 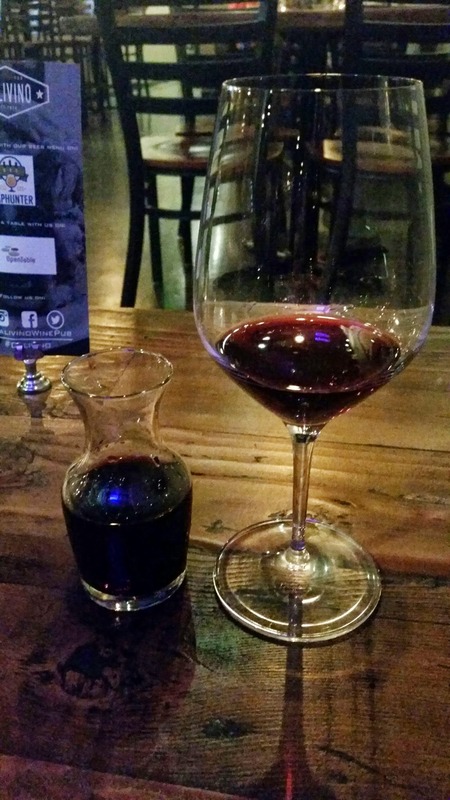 I was of course in a wine mood and my hubby was in a beer mood so we ordered for me a glass of Houdini Cabernet Sauvignon which was a little steep at $14, but it was a classic red that was delicious and bold in flavor, but I thoroughly enjoyed it. 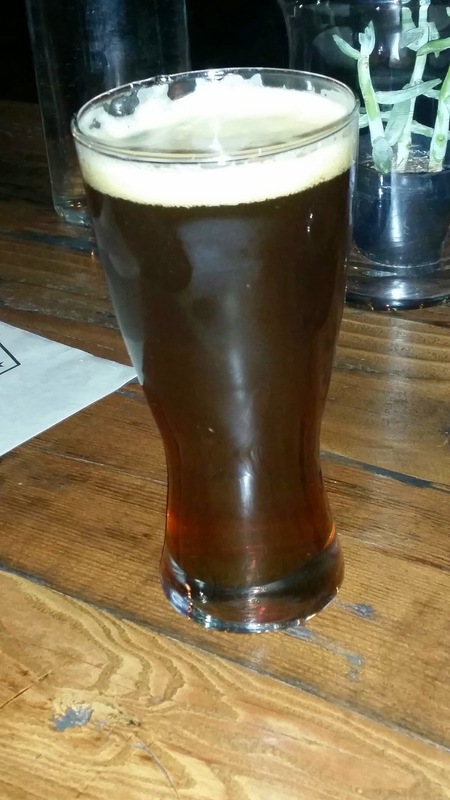 My husband opted for a Great Divide Hibernation Draft which was a delicious craft beer and at normally $6 a glass we were happy to find it was discounted by a $1 because we arrived during the happy hour! Happy Hour at Calivino offers $1 off of all beers, $2 off of house wines (There were a variety of 5 different wines that evening) & $2 off of select menu items. There was a variety of 6 menu items that were offered for the evening listed on the menu. 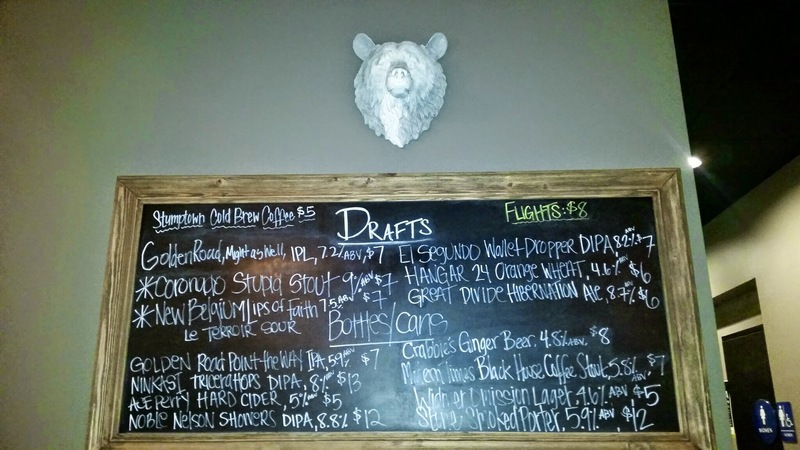 Happy Hours include Sunday through Friday from 3pm-7pm & Saturdays from 9pm-11pm. This was definitely an awesome happy hour! 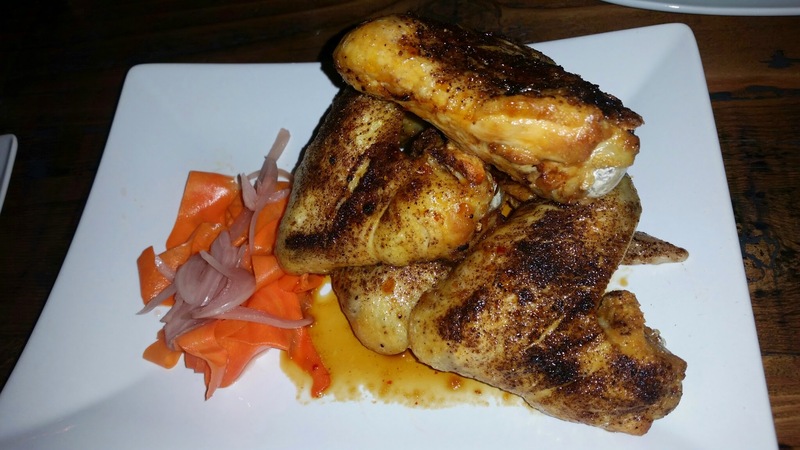 We ordered the Jerk Wings which were prepared with a jerk spice rub, honey glaze and pickled vegetables. This was a very impressive looking dish as the chicken leg and wing were still attached which definitely seemed to make the dish have much more meat. The only thing I would add with this dish is a side of sauce. The meat was tender and came off the bone quite easily. We also ordered the Poutine, which ended up being my favorite dish of the night! 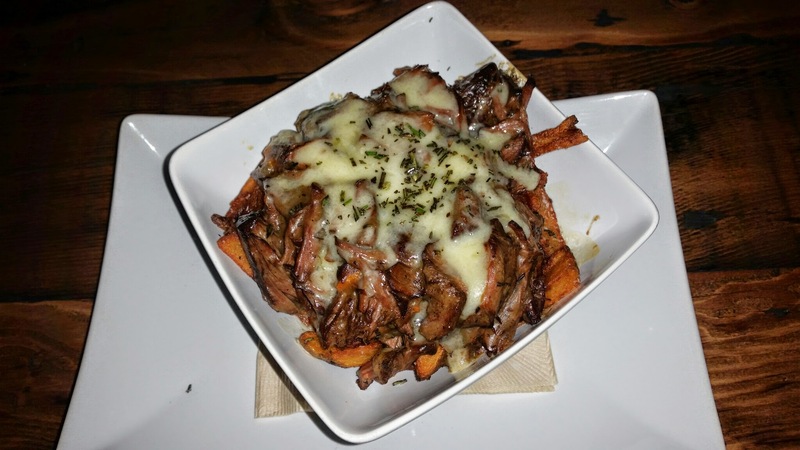 I seriously have been eating a lot of poutine lately, as it seems like this hot item in the Orange County food scene at this time. I literally see poutine everywhere! This poutine was very tasty in flavor in that the dish as loaded with short ribs, herb gravy, aged white cheddar and hand-cut fries. I would definitely say this dish was much heavier on the short rib than on the fries and I was completely fine with that. This warm bowl of goodness was exactly what I needed on a cold fall evening! Before our last two items, I made the decision to order more wine…Now this is the coolest thing that I must share with you! Calivino has a wine program called “Death Row Specials.” I had not known about this before, but I seriously think more restaurants should have this program! You must inquire about this offering in order to take advantage as I did not see anything posted about it inside of our menu. What Calivino does with their Death Row Special is that they sell bottles of wine that are half finished that are from 1-3 days prior for half price. These bottles could be from not enough glasses being sold in a bottle or a customer not liking the wine bottle they selected. Every day the Death row specials change depending on the wines served and what was leftover. I ordered a death row bottle and it was an amazing wine from Chile with grapes sourced in their Maule Valley area. 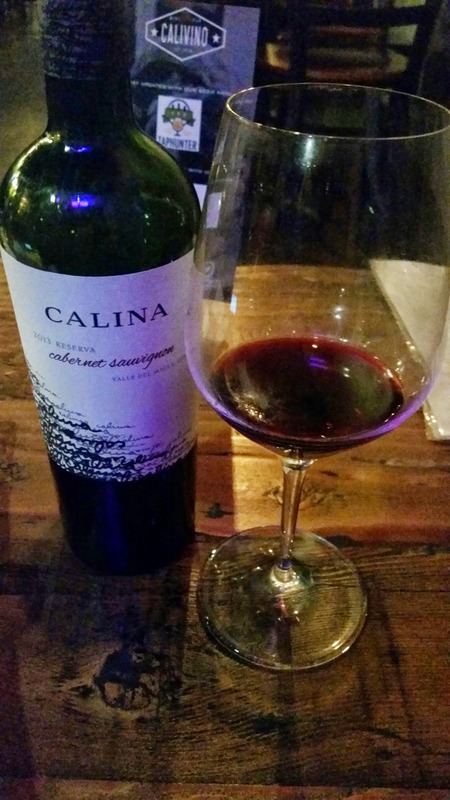 I have never been to Chile, but this Calina Cabernet Sauvignon wine definitely made me want to plan a wine tasting trip there! This wine was smooth and balanced and the bottle was ¾ full! I definitely could not tell this bottle of wine had been opened the day prior! We only spent $10 on this bottle and got about 3 ½ glasses out of it! Talk about a steal! This was one of the most awesome wine programs I have ever seen! 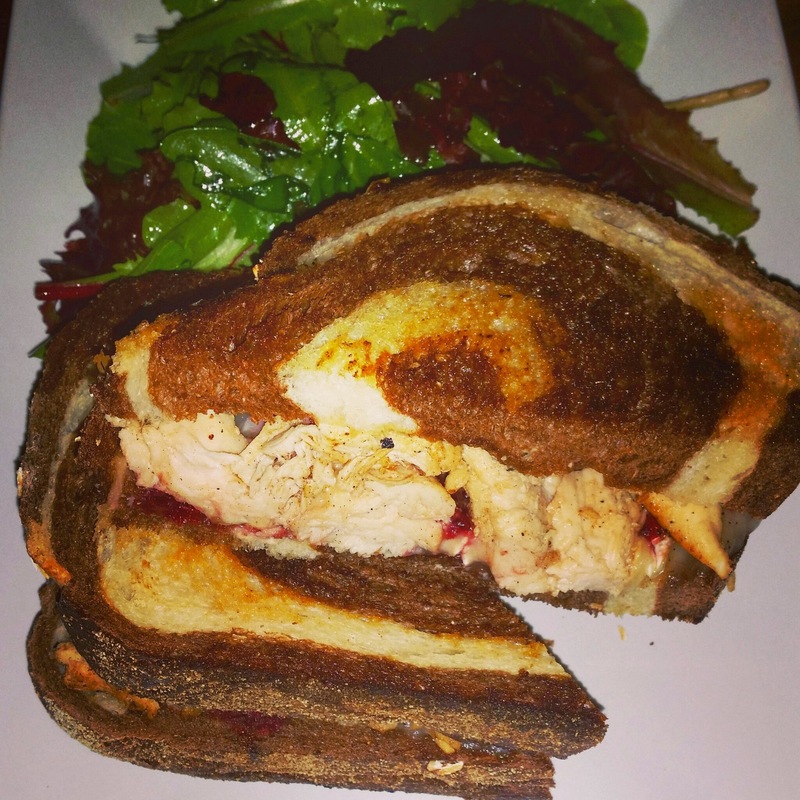 From the “Between the Bread” section of the menu, we ordered a sandwich called the Chicken and Brie Panini that was stuffed with braised free-range chicken, brie, cranberry sauce, and honey on marbled bread. I don’t know what made me decide on another Thanksgiving style item so close to the date, but I did like this sandwich! The only thing I would add to this sandwich is a little bit more cranberry sauce. Great flavors! All items in this section of the menu also come with a choice of French fries or a salad. For dessert we had the bread pudding with cinnamon, caramel and candied bacon. I added a little more caramel to my dish to make it a bit moister and put a bit of the bacon to the side. 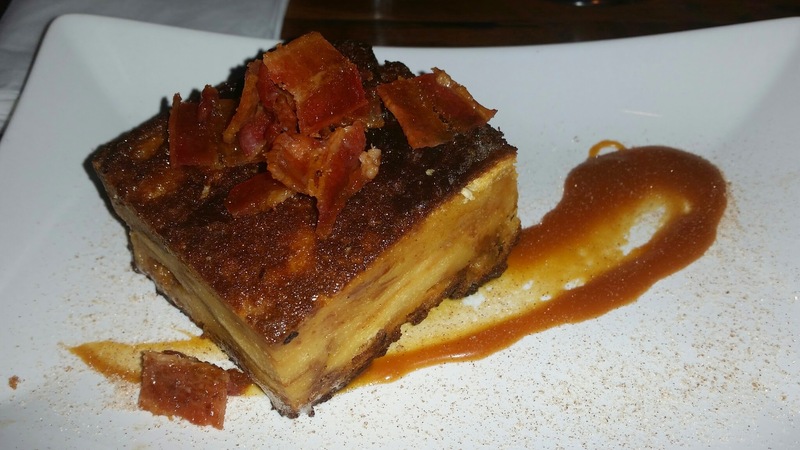 If you love bacon, this is the dessert for you! The blend of salty and sweet goodness hit the spot! I love caramel. 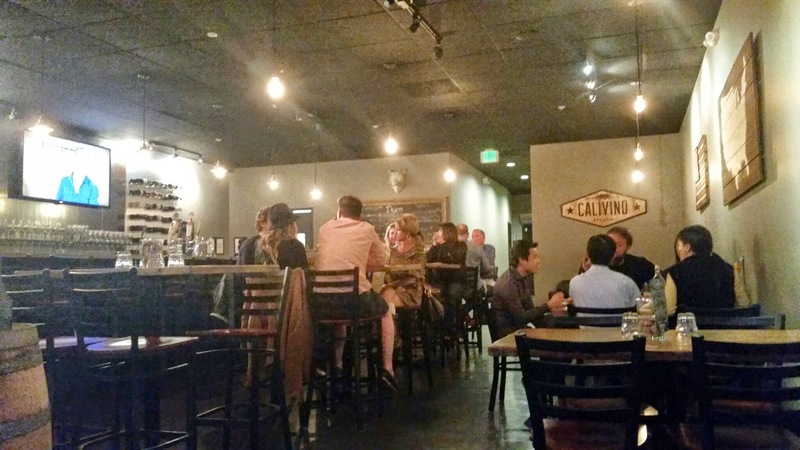 Have you visited Calivino yet? What were your favorite items? Let me know what you think of Calivino and what dishes you recommend in the comments section below! What veggies were pickled wiht the Jerk Chicken? The brie and chicken sandwich looked good. nice swirl. Not sure about bacon as a desert though. I’ve had it before, and I don’t think I have the right palate. Looks like a decent place though. How much were the individual plates? I couldn’t see that mentioned anywhere. There are some great food options! short rid poutine fries were so good! The pictures say it all. Looks like a great place. I’ll definitely have to try it. You will love it when you go! You all seem to have a great life trying all these amazing foods and wine!